Our good friend Mike Musto visits an old friend in the form of a coach-built 1968 Camaro by JCG Restorations for the season 4 opener of Big Muscle. This 68 Camaro is anything but a restored 68 Camaro, it is one-of-a-kind powered by a 700-horsepower LS7 engine and styled with hand-formed wide body metal works. There is really nothing else like this vehicle and Mike will explain in his exclusive test drive of the 68 Camaro, aka “Blu Balz”, how his revisit in dry conditions make this one of the best, if not THE best, Camaro’s on the road today. It is not too often that some type of contraption on 4 wheels pulls up and die-hard automotive enthusiasts has no clue what to make of it. Well, just so happens that our good friend Mike Musto features such a vehicle on the latest episode of Big Muscle on the DRIVE YouTube channel. We will leave all of the details and description to Mike and the vehicle’s rightful owner other than repeatedly mentioning that fact that this “hybrid-of-a-vehicle” has over 1,600 ft-lbs. of torque. WOW! Hit up the video below and enjoy! Old school muscle cars tend to get lost in translation with today’s modernized automotive limelight. 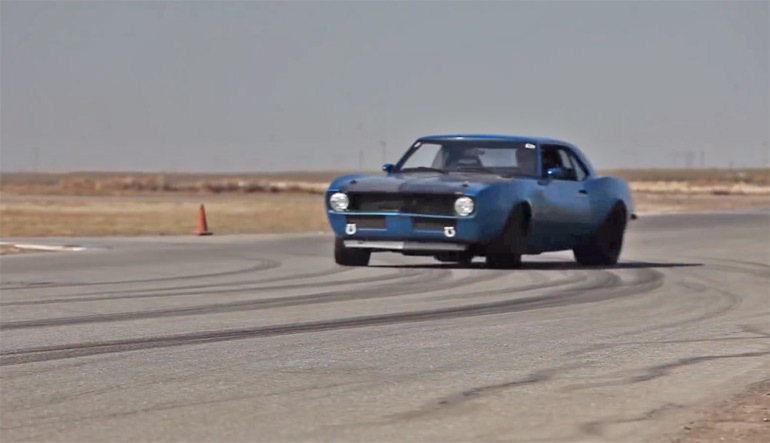 Thankfully, for us and other real enthusiasts, Big Muscle on the DRIVE YouTube channel is back for another season highlighting some of the coolest muscle cars in America. Our good friend Mike Musto narrates and test drive’s these one-of-a-kind road muscle machines starting with a 1967 Mustang. If we asked you to name all the popular muscle cars of the late 1960s, we’re sure you’d hit on all the obvious choices. More obscure, however, are cars from now-defunct manufacturers, like American Motors. Its Javelin was the automaker’s answer to the Mustang and Camaro, and atop the AMC performance pyramid sat the AMC AMX, which was a Javelin that went all-in, perfoamnce-wise. If you think of it as the AMC equivalent of a Camaro Z/28 or a Mustang Mach One, you wouldn’t be far off the mark. To prove that the AMX was a sports car (despite its live rear axle), AMC only gave it two seats. 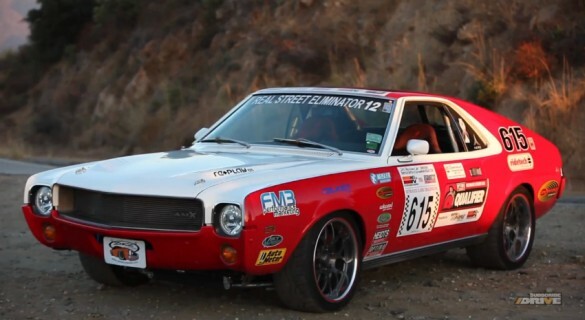 While the car never sold in the same volume as its cross-town rivals, the Javelin and the AMX still have something of a cult following, and die-hard AMC fans probably aren’t going to like the build sheet for Jimi Day’s AMXcess. While the glass and sheet metal are all original, the rest of the car has been built from the ground up to be fast, reliable and easy to find parts for. That’s an LS3 small-block Chevy engine under the hood, mated to an aftermarket transmission and sending power to the rear wheels through a nine-inch Ford rear end. Underneath, the car rides on RideTech triple-adjustable dampers, while six-piston Wilwood calipers handle the stopping duties. We know Jimi Day, so we can tell you with absolute certainty that he drives this car hard. His “ten-tenths,” would give casual passengers heart failure, which is just another testament as to how well this car is put together. We’re big fans of pro-touring, since we grew up with muscle cars but prefer lapping at a road course to simply running the quarter mile. With the possible exception of Mary Pozzi’s Camaro (to be featured in an upcoming release of Gran Turismo), we can’t think of another pro-touring car that we’d rather drive than Jimi Day’s AMXcess. 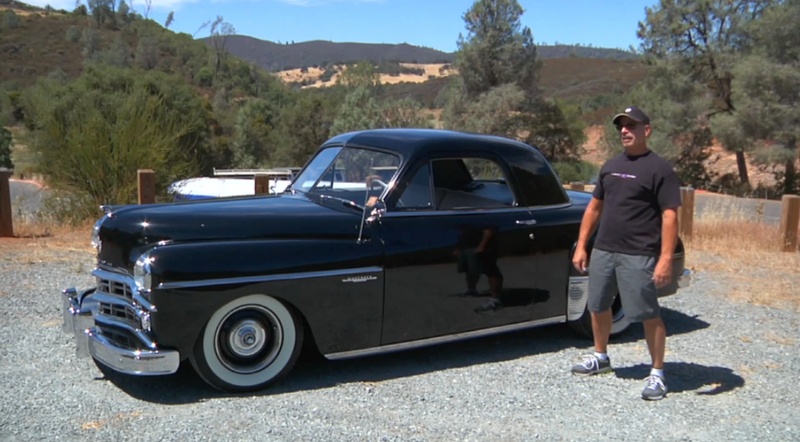 When you think of grand touring cars, a 1949 Dodge Wayfarer probably doesn’t come to mind. In fact, hot rods and GT cars are generally two different animals: GT cars are all about long-distance comfort at high speeds, while hot rods are all about style and speed from stop light to stop light. If these sets ever intersected, Dan Zuccaro’s 1949 Dodge Wayfarer would be in that small area. At first glance, the Wayfarer looks to big and heavy to be nimble, but then you find out it only weighs some 3,300 pounds. To put that in perspective, consider this: a new four-door VW GTI Autobahn weighs 3,113 pounds, so this car is just one adult male passenger away from the same weight. It was built in an era when manufacturers didn’t worry about things like high-strength steel, or side impact door beams, or even dual rear brake lights. Under the hood lurks a 383 cubic inch small block Chevy, good for 425 horsepower and 400 pound-feet of torque. Zuccaro opted to cross brands since the Chevy motor was a good fit and has enormous aftermarket potential. Should he decide that 425 horsepower isn’t enough, more grunt is just a bolt-on blower kit away. The interior is mostly original, with the addition of modern amenities like air conditioning, cup holders and additional gauges to supplement the original art-deco ones. There’s no denying that the car has a certain presence and appeal, and it will certainly get you noticed even more than a worked Mustang or Camaro. 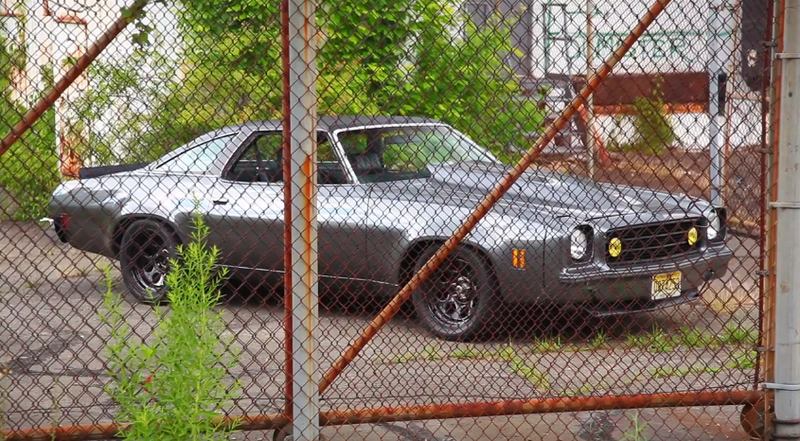 It’s not for everyone’s taste, but we salute Zuccaro’s take on what makes a hot rod. Love, it’s said, is blind. It’s also mysterious, meaning that when something grabs ahold of your hormones, sometimes you’re just along for the ride. By way of example, we give you the mysterious case of Sean Rich: in high school, Rich fell in love with a 1973 Chevy Chevelle, and the two have proven to be inseparable ever since. Fourteen years is a long time for any kind of relationship these days, especially one with an unlikely parter. Sure, the Chevelle name is the stuff of legends in muscle car circles, but most discussions end with the 1972 model. By 1973, the Chevelle had grown to plus-sized proportions, with any hint of performance choked by stringent emissions regulations. If you were going to build a pro-touring car, a 1973 Chevelle would be among the least likely choice of candidates. Despite this, Rich’s car has gone through several evolutions throughout the years. In current form, he describes it as a “car he’d build to rob a bank.” We’re not sure about that, since the car blends into the background about as well as Ted Nugent at a PETA rally. Under the hood is a “mildly built” 350 V-8, which puts out in the neighborhood of 400 horsepower. As Mike Musto sums it up, that’s enough to be entertaining without getting you into trouble; beside, we’re in total agreement that the car sounds fantastic, and we’d drive it with the windows down all the time, just to better hear the engine come on-cam. At first glance, Dru Diesner’s 1972 Chevy Nova isn’t a car you want to be seen in. It’s time-faded paint has gone from simply ugly to hideous, and its flanks are marred by dents and dings. The wheels are steelies with dog-dish hubcaps, sporting 1970’s chic whitewall tires that look as if they’ve come from the “any tire $5” pile. 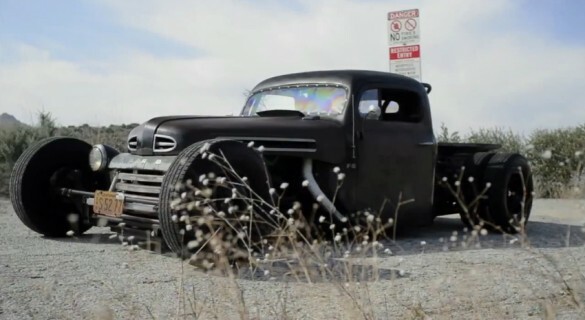 It’s so ugly that we wouldn’t even call it a rat rod; instead, it’s just plain ratty. Don’t think of the outside appearance as anything but camouflage, since under the hood lurks a twin supercharged LS2 V-8 that produces some 1,160 horsepower – at the rear wheels. We’re fairly certain that’s more than a Bugatti Veyron Supersport, which makes 1,184 horsepower at that crank, but significantly less to the wheels. Wheel to Wheel Powertrain’s Kurt Urban (now owner of Kurt Urban Performance) built the car to be the ultimate sleeper. Roll up next to it at a stoplight, and you’ll never notice the carefully hidden roll cage, or the release lever for a parachute. 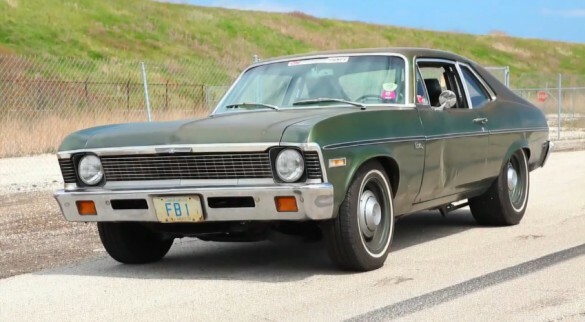 Challenge Diesner’s Nova and you’ll find that it runs the quarter mile in the nines, which puts it into a very small club of street-legal vehicles. Diesner’s Nova may be mind-numbingly quick in a straight line, but road courses aren’t the cars forte. Like any 1970s Nova we’ve ever driven, the car’s steering precision is somewhere between “vague” and “nonexistent,” which doesn’t exactly inspire confidence at speed. We complain about an inch or two of steering play in new cars, but cars like the Nova came from the factory with inches of play in the wheel, and worn steering components only make this worse. While we love sports cars and exotics, there’s a place in our heart for Q Ships like this, too. 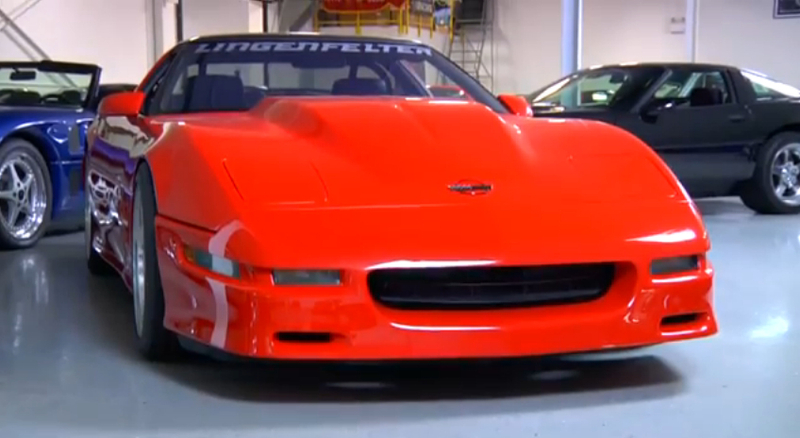 When we grow up, we want to be Ken Lingenfelter. Not only does he own Lingenfelter Performance Engineering (which was founded by a cousin, John Lingenfelter), but he also has one of the most impressive car collections in the United States. How many cars are in the collection? Even Ken doesn’t know for sure, saying “about 200,” since he’s afraid to give an exact count. While the collection is heavy on Corvettes (which make up about 40% of the total), there’s something for everyone. Want a Ferrari F40, a DeLorean DMC1, a Vector, an Opel GT, or a mid-seventies Pontiac Can-Am? No problem. A Bugatti Veyron or an original AAR ‘Cuda? Yeah, they’re in the collection, too. This episode of Big Muscle centers on one of the most significant cars in the collection, which host Mike Musto refers to as “ground zero” for hot rodders. Lingenfelter owns the Duntov Test Mule EX-8, which was the first Corvette to be tested and evaluated with a small-block V-8 engine. Without this car and its small block Chevy V-8, the Corvette may never have survived beyond the first generation, and hot-rodders may never have embraced a Chevrolet V-8 engine. Mike spends some time in a Lingenfelter-tuned 1993 Corvette ZR1, too, capable of producing upwards of 600 horsepower. It’s got a rather unique valet key, and unlocking the car’s full power is akin to twisting the two keys needed to launch a nuclear missile. It’s as subtle as an artillery barrage, and makes an impressive statement on how much power was possible from a street-legal car, even back in 1993. There are only a finite number of 1968 Camaros, in coupe or convertible form, left on the planet. Owning one generally requires careful stewardship, to preserve the car for future generations. If you want to keep it original, that means there’s very little you can do to improve the car or make it safer. If that’s the purist school of thought, there’s also the pro-touring school of thought, which says, “the old cars were the coolest, so why not do everything you can to improve performance and handling?” Enter Bob Hall, the owner of what may well be the coolest 1968 Camaro convertible on planet earth. First, that’s no stock 327 V-8 beneath the hood. Instead, Hall’s ride uses an LSA V-8 pulled from a wrecked Cadillac CTS-V. Thanks to an overdrive pulley on the stock supercharger and a custom tune, the car makes some 800 horsepower at the crank, which translates to 648 horsepower at the rear wheels. The suspension and brakes have been updated to handle the additional power, and Hall regularly drives the car in autocross competition. Inside is a very tasteful blend of old (the original gauges) and new (carbon fiber center console, Recaro seats). In fact, part of Hall’s intent was to not make any changes that couldn’t be undone, essentially preserving the car for future generations. That may change in the future, though, as Hall is looking for a way to get more tire underneath the car. Congrats to Bob Hall for building such a masterpiece, and congrats to Mike Musto for finding the rhythm with Big Muscle. Here’s to more of the same in the coming weeks. The very spirit of hot rodding is this: take what you have, and make it faster. When you’re done, drive it like you stole it, preferably in competition against other similarly-built cars. That formula has been the basis of street racing for nearly 100 years; what’s changed in recent years is that hot rodding, at least with big American cars, has become respectable. Instead of running light-to-light on the street, endangering both your license and other drivers, events like the American Street Car Series’ Run To The Coast allow builders to run their cars in a series of events, ranging from autocross to drag race to road course competition. The variety of cars entered is impressive, and Big Muscle host Mike Musto points out everything from a Sunbeam Tiger through a vintage Ford pickup built up from a wrecked Mercury Marauder. Musto knows a thing or two about driving, as well. He drove his own “Mr. Angry” 1968 Dodge Charger, the same car used to run One Lap Of America, in this year’s Run To The Coast. 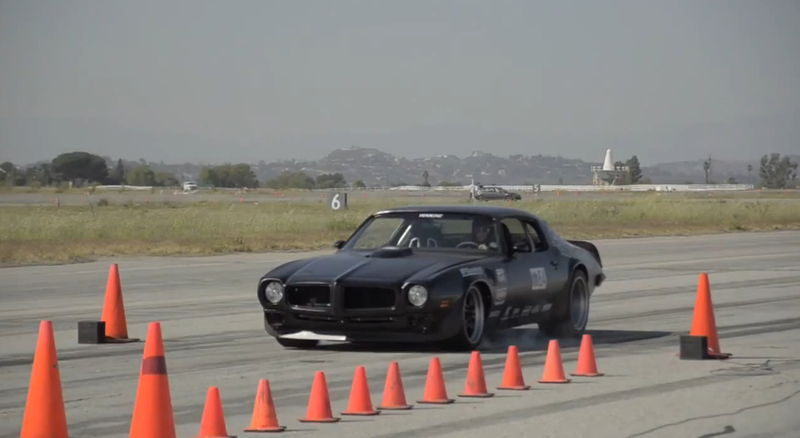 While a eighteen-foot long, two-ton car may not be nimble enough to do well in the autocross, it is capable of impressive burnouts. Mike Musto is the car guy’s car guy. He’s run Bullrun, campaigned a vintage Dodge Charger called “Mr. Angry” in One Lap of America and has forgotten more about the pro-touring scene than you or I will ever learn. Now he’s got his own weekly series on YouTube’s Drive channel called “Big Muscle,” and if the first episode is any indication, it will be worth tuning into. What do you get when you cross a 1949 Ford F5 dump truck with a 1997 Ford F350 diesel and a 1935 Miller Indy Car? We’re not sure, either, but the end result is the one-of-a-kind rod seen here, built by Max Allread. If it’s performance you want, Allread’s truck won’t disappoint – it’s packing 400 horsepower and 700 pound-feet of torque under its hood. That’s impressive, but the detail on the build is even more amazing. Those stencils on the doors? Original to the truck, which was last registered in 1985. Those aircraft-style seats? Allread built them himself. The front suspension? Inspired by a vintage Indy car. Now matter how well built, most rods don’t capture your attention for long, but Allread’s seems to cross generations and demographics. From any angle, there’s always something to look at, and it’s impossible to view the truck without wanting to jump in and go for a ride. 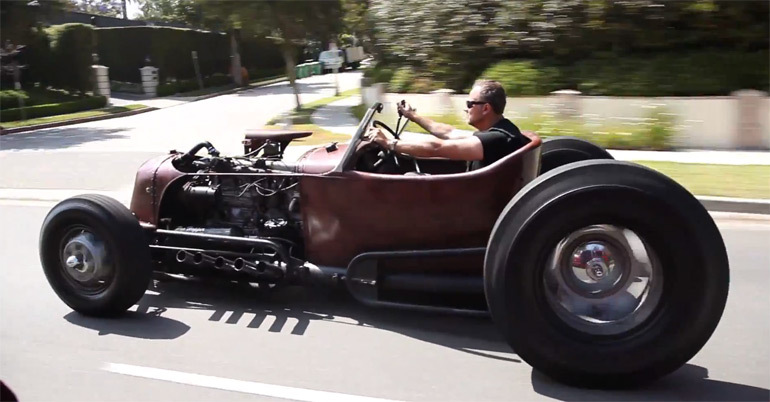 We’re not even into the hot rod scene, but we’d love a chance to spend a day with Allread’s Dr. Frankenstein creation. It’s a sculpture that even we can appreciate.